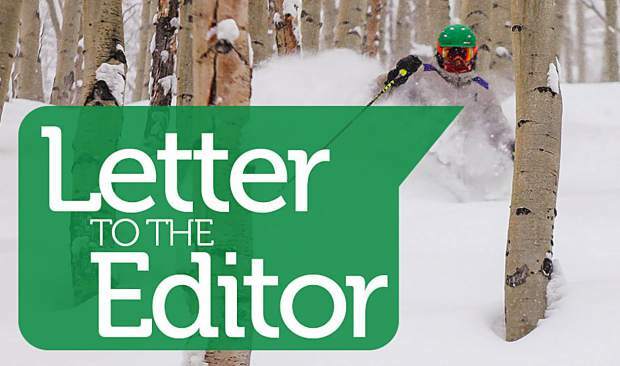 I am writing this letter in support of Jacqueline Cartier for Eagle County commissioner. I have known Jacqueline for several years in business and socially. I know her to be one of the most intelligent and dedicated, tireless, hardworking women I know. She sticks like glue to the task to meet deadlines and ensure her business tasks are successful and cost effective. She follows through to the end to ensure her commitments are met. As we all know, elections this season are all over the map, and there are far too many ballot amendments to comprehend at one sitting. In talking with Jacqueline, I find her to be solidly focused on the issues affecting us all. She researches issues in depth to ensure her positions are good for everyone in the county, not just a few people. She has great ideas and is always searching for a way to do things more effectively. As a resort area, we have full- or part-time residents, retirees and residents working hard with more than two and three jobs to survive here economically. Jacqueline is a good listener and is deeply concerned about all the diversity in our county. She believes everyone deserves a voice. I believe she has some very good ideas on how to meet many of our community needs. It is time bring in a new voice to the Eagle County commissioners’ office: one who will think of community first and be able to exchange ideas effectively to represent all our county residents, one who will work well with our current county commissioners. I believe Jacqueline is the right candidate for Eagle County commissioner.